Yeah… It’s payment day for Blogads. Started to publish Blogads ad on August 2010. 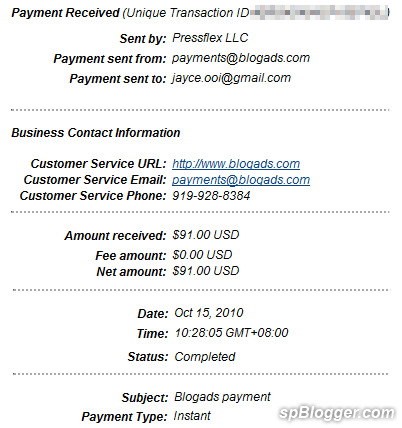 And here you are ~ my very first PayPal payment from Blogads. Previous articleHow to fix phpBB fails to upload large size file? Next articleIs INTC worth to keep?